Acting on a complaint from an unspecified brewery, the Alcohol and Gaming Commission of Ontario today informed local charity Operation Come Home (OCH) that they could not continue their home delivery service of Beau’s beer, due to a regulation that states they cannot deliver beer purchased directly from a microbrewery. 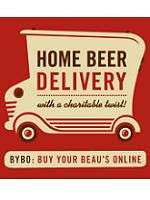 November 24 was the first day of deliveries for the local charity’s new service that home-delivers Beau’s All Natural Brewery’s beer to City of Ottawa residents — and will also be the last. The nature of the complaint, brought to the attention of the AGCO by a competing brewery, is a technicality in the Home Delivery Service license’s wording. It states that alcohol intended for home delivery can only be purchased from the LCBO (a crown corporation), or The Beer Store, a foreign-owned, privately held corporation run by the parent companies of big breweries Molson, Labatts, and Sleeman. The Home Delivery Service license makes no mention of microbreweries or small wineries, whose presence in the market has flourished in recent years. Microbreweries like Beau’s All Natural are currently allowed to sell alcohol to the public under a Manufacturer’s License. The shutdown leaves Operation Come Home with considerable time, money and effort spent creating and marketing the service, and now no service to offer. “The regulation allows manufacturers to sell their products from their own location yet will not allow a licensed delivery service to purchase beer and deliver it to customers who want to use the service,” states Elspeth McKay, Executive Director of OCH. The innovative home delivery service was intended to provide employment to at-risk youth, as well as raise money to fund programs and services for the Ottawa-based not-for-profit organization. At this time the future of the service is questionable.